Nobody wants to look like a total tourist when they’re on vacation — but more important, nobody wants to only hit the touristy spots when they’re exploring unknown lands. It’s a well-known fact that in order to have the best time possible while on vacay, you need to know how to party like a local, and being privy to all the insider tips is the only way to go. These rules obviously apply when you’re visiting Charleston, South Carolina. Charleston is home to tons of hidden gems that locals love but probably don’t want you to know about. 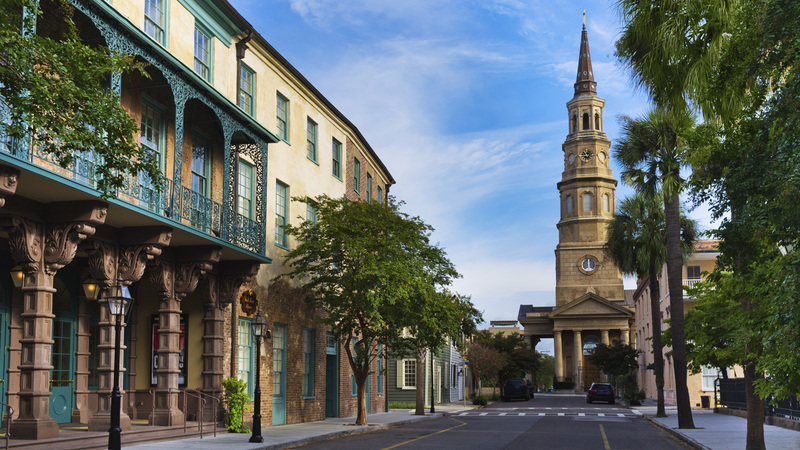 Founded in 1670, Charleston is steeped in rich Southern history. From the Greek Revival style City Market Hall that intersects at Meeting and Market Streets to the wobbly cobblestone avenues of the French Quarter to the truly haunted (and notorious) Old Charleston Jail, nearly every block and building has a story to tell. Bright and vibrant magnolia trees and centuries old weeping willows flank the waterfront Battery, one of the city’s most famous parks. Mouthwatering aromas of fried green tomatoes and broiled oysters from the award-winning restaurants of Husk, the Ordinary and Fig dance along the streets and the roaring laughter of College of Charleston students (and crisp crack of a beer can opening) hang in the air around Folly Beach. Although the sights, tastes and sounds are plenty alluring, the Southern hospitality wins you over. Locals will smile at you as you stroll down King Street, and tour guides and operators will regale you with hilarious stories and quirky Southern sayings on your carriage rides. 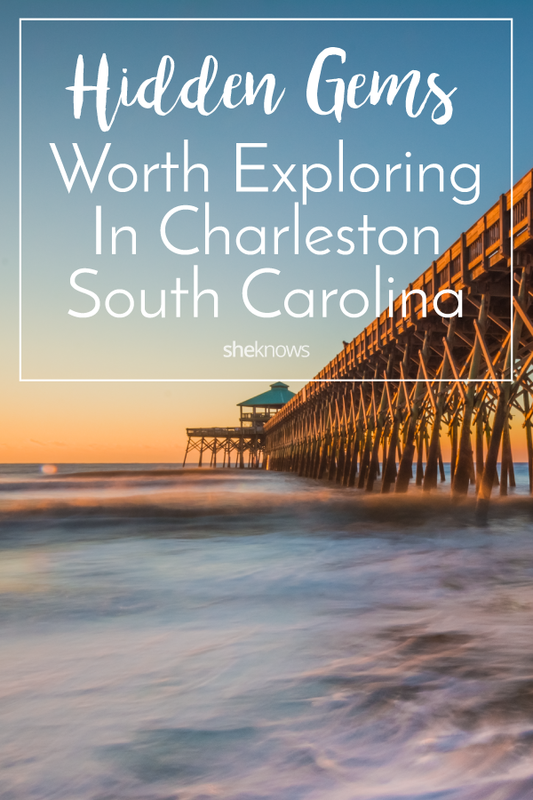 After just a few hours, you’ll find it no surprise that Charleston is consistently ranked the best place to visit in the world by travel magazines and websites. The locals love to see their city in the limelight, but they also crave moments and places that aren’t filled with tourists. They want places they can grab a bite and a beer that aren’t overrun with visiting families — and the hefty price tags that come with them. These local joints are tried-and-true favorites for the lucky few who get to live in this enchanting city year round. Just don’t tell them I told you about them, or I might just end up on the nice folks bad side. The RiverDogs may be a minor league team, but the stadium is a major hotspot for Charleston locals. During home games, fans flock to the Joseph P. Riley Stadium for locally brewed bottles of Palmetto Brewing Co. Ale, baskets of boiled peanuts — a Southern classic — and some of the best sunset views over the city. Due to its location in Mount Pleasant, across the Arthur Ravenel Bridge, most tourists don’t visit this local favorite. During the weekends, you’d be hard pressed to find a seat anywhere in the tasting room, where groups of friends are laughing, enjoying the homemade pretzels and sipping on some of Westbrook’s famed ale. Just don’t go in expecting to taste the coveted Mexican cake, which sells out within minutes of release. Check out their full selection of brews. Despite its location on King Street — the busiest street in the city — The Gin Joint is still a bit of a hidden gem. Locals flock to this speakeasy-themed bar for specialty cocktails from the bow-tie wearing bartenders. You’d be remiss not to order a drink spiked with gin, but locals love the house mint julep made with a few fragrant drops of mint-infused Everclear. A tried and true local recommended this one to me, my former college roommate, who grew up on the marsh under the weeping willow trees of Johns Island. Constantly named one of Charleston’s best, Leon’s Oyster Shop is a true Charlestonian favorite and features everything from chargrilled oysters to scalloped potatoes and fried chicken. Their cocktail game is also on point, and you’d regret not sipping on a silver fizz — made with egg whites and gin — or a classic bloody Mary. A unique tour that focuses more on the city’s history than its gleaming architecture, the Gullah Tours are highly ranked among the city’s residents. Each tour gives an inside look at rich Gullah culture as well as history on the language, which was spoken by the low country’s first black inhabitants. Expect to leave the two-hour tour with a few Gullah words memorized thanks to the fluent speaking guide, Alphonso Brown. You can’t go from Mount Pleasant to downtown Charleston without crossing the famous Arthur Ravenel Jr. Bridge, however, most people only see it as they whizz by in their cars or trucks. Locals prefer to cross it on two feet, either by running, biking or walking along the walkway. The span of the bridge is lengthy (over 1,546 feet), but you get truly stunning views of the Copper River, especially during sunset, from the middle. Not to be confused with the touristy Charleston City Market, the Farmers’ Market can be found every Saturday in Marion Square, which is between Hutson and Calhoun Street. The market features only locally-grown produce and herbs and sustainably-farmed meats and seafood. In addition to the bounty, there are food stalls throughout serving up local favorites, like boiled peanuts, gyros and fried eggs and grits. Locally owned and loved, Charleston SUP safaris, based on Folly Beach, offers locals and visitors a new way to experience the ocean — on paddle boards! From stand-up eco-safari tours of the creeks and nearby marshes to surf lessons or yoga sessions, there’s plenty of ways to enjoy the water. No matter what time you visit, you’re going to be met with a line of hungry locals craving a handcrafted sammie at Butcher & Bee. They source all their ingredients locally, right down to the buns, and sling up sides that’ll make your mouth water, like kale slaw and smoked potato salads. The best part about this place? It’s BYOB, which means you can bring your own brews to accompany your craft sandwich. Be sure to do your research, because they have unconventional hours! Folly Beach, which is located on historic Folly Island, is a favorite for both locals and tourists. However, to avoid the crazy crowds that flock to this seaside escape every summer, the locals pick a rather unique time to visit — sunrise. Many love the low-key vibe that comes with the early morning, and the stunning sight of the rising sun doesn’t hurt. Many also choose the morning visit as an optimal time to surf or run without crowds.